Transitioning from your sweet 20’s to the mature 30’s is such a difficult phase. You discover many changes to your body, changes that you never thought would to you and which may impact your lifestyle. And while going through all these changes, the place they are the most noticeable and sensible is our face. Trust me, I know how it feels – here is my story. A couple of days after I came back from my trip to LA, my face was all covered in pimples and no matter how much I tried to take them, they never seemed to end. My skin felt all greasy and thick. So in my desperation I started scrubbing my face every morning like crazy, which of course didn’t work. I started taking all my pimples until I almost made holes in my face and ended up with small scars like a teenager. In the end I made an appointment with a beauty salon and decided to leave my face in their expert hands. The idea was for them to examine my face, apply the treatment that works best for my skin and give me tips on how to take care of it at home what tell me what products I should be using. 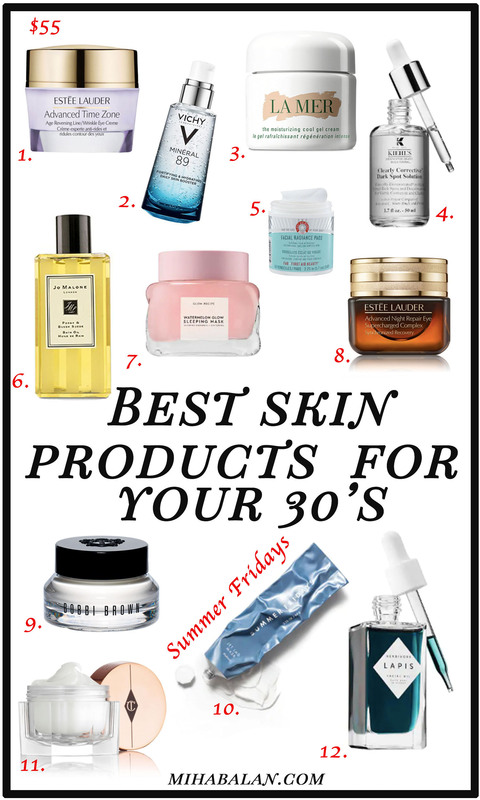 A few months ago, I wrote a post about face creams for women in their 30’s and I noticed the majority of you really enjoyed it, so I’ll also share the tips that I got and what kind of products I found you should be using if you are in your 30’s or over and experience these symptoms. Are you having a stressful period? Not getting enough sleep and lots of thoughts running around in your head? When you don’t get enough sleep, it not only affects your body and your brain but it also affects your skin by decreasing the moisture and your PH’s levels which makes your skin look less youthful. You start developing dark circles under your eyes and risk an eruption of pimples, which is what happened to me. The best thing to do when you are stressed out is to exercise and try to get a good night’s sleep. How do you deal with pimples? Until recently, I knew of only one way, poke them until they cannot be poked anymore. But when I got at the salon my face was covered in scars and dry spots from all the poking that I’ve been doing. So one of the steps in cleaning my skin, in order to let my pores breath was for her to open every single pimple I had on my face with a sterilized needle first. Apparently when we are trying to squeeze the pimples without poking them with the sterilized needle first, we risk causing the infection to out the other end, causing it to spread and leading to more and worse pimples. The needle wasn’t very painful, in fact I could barely feel it and these days I am doing my best to not touch the pimples the way I used to before. Moisturising is a really important step in taking care of your skin, especially during summer time. Sunscreen and a day cream that fits your skin type are mandatory but on top of that, since our skin is going through changes is important we take extra care of it daily. I made a list of some of the products that you could add to your morning and evening routine, that will get your skin looking healthy and glowing. 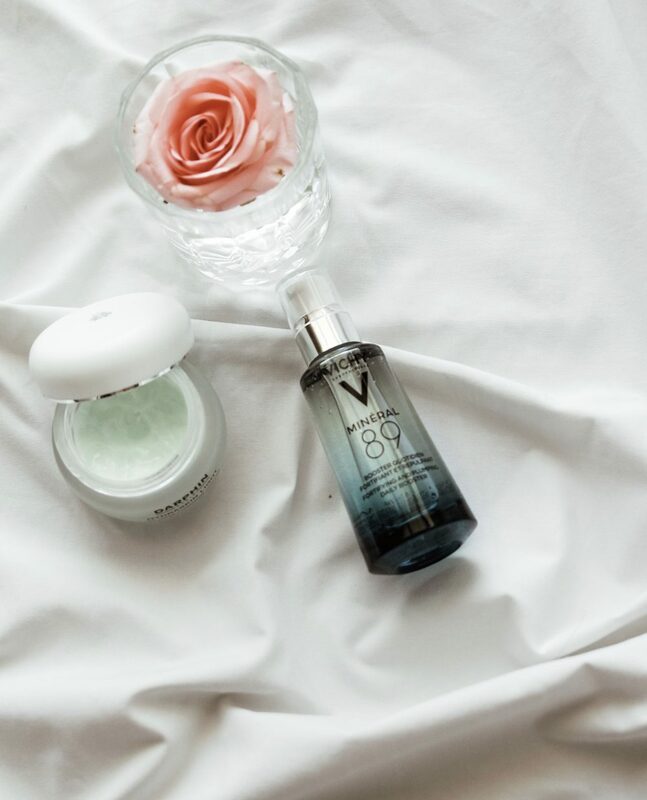 I added the Vichy Mineralised Serum to my beauty routine, a different face cleanser and a magic night cream for now. I do not have anymore pimples and my face has gotten much much better compared to how it was 2 weeks ago, but I realised that taking care of your skin is not just about applying lots of products, but also making sure you are living a healthy lifestyle. I will continue with similar posts on how to take care of your skin in your 30’s because there is so much more that I haven’t mentioned yet, such as how to prevent wrinkles, greasy skin, pores and baggy eyes. I will follow up as soon as I’ve found what works for me.